So everyone's been asking us, do you have bars? Well now we do! Introducing our Castile Bar Soaps, made the same way we make our liquid soaps: with the same ingredients from nature and caring, loving hands. 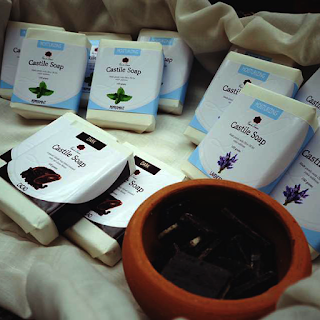 Enjoy your favorite Casa de Lorenzo Castile Soap variants in bar. The oils and essential oils we put in our liquid soaps are the same great ingredients we put in the bars. Go ahead, try one. Its only 100 pesos each for the whole month of July. Call us at 0917-6081219 / 0939-9192916 or email us at order@thecasadelorenzo.com today.